Contact our locksmith for either key or lock change in Scarborough, Ontario. Keys and locks must change when they compromise the security of your property. In the case of keys, we change them when they are lost or stolen. In the case of locks, we change them when they are broken or unable to offer the expected level of security. In any case, trust that Locksmith Scarborough responds as quickly as possible, is affordable, and ready to cover your emergency needs 24/7. Why will you need lock change service? We change locks in Scarborough when they fail to operate as they should and thus secure your property. This might happen after a burglary or when the lock mechanism is broken. Our locksmiths can change any type of lock. Rest assured that our company is prepared to deal with urgent problems too. So if your house is burglarized and one of the locks is vandalized, we can change it urgently. Our experts specialize in any lock installation. We provide the service taken into account the specs of the new lock. Our pros are trained, qualified, updated, and licensed to install any home, car, and commercial lock. We can install internal door, window, main, and sliding door locks. 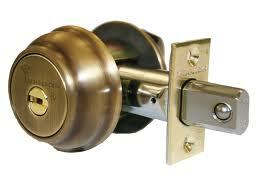 You can call us for deadbolt installation and be certain of the exceptional service. Why will you need key change? When keys are stolen and lost, we provide key change. In other words, we don’t simply replace them but cut brand new ones. The new keys won’t fit in the existing lock. We need to change the pins of the cylinder in order for the key to operate with the lock. So in such urgent cases, what we do is lock rekey. If your locks are damaged but can be fixed, our techs will handle their problems right away. We offer quick lock repair. Call us if the key is not inserted or turning in the lock. Get in touch with us if there is a clicking sound when you are turning the key. If the lock cannot be fixed, our tech can offer lock change Scarborough service on the spot. Call us.